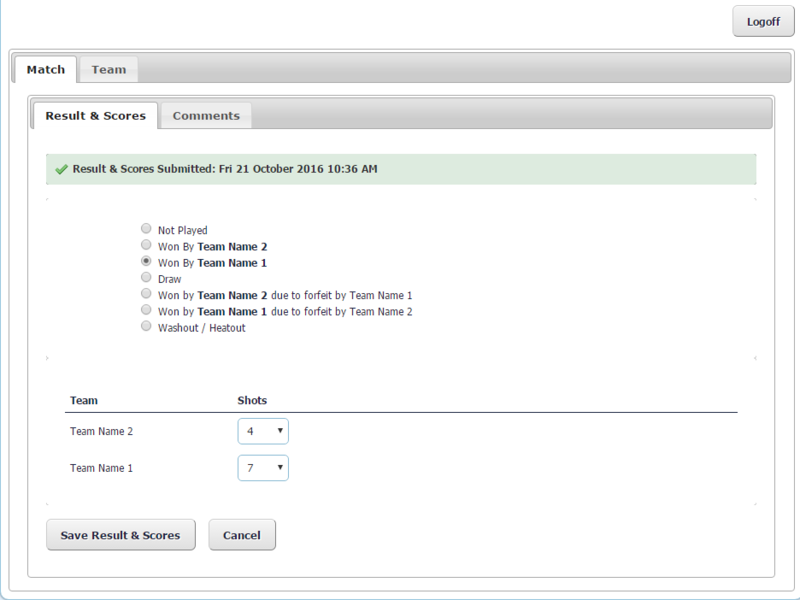 Team Administrators have the ability to log in and record the results from their team's matches on the Sports Portal. This frees up Competition Administrators from needing to enter results from all fixtures into the system at the completion of a round and ensures results are available online as quickly as possible. 6. Select Match and then Results & Scores. 7. Enter the result and the scores from the fixture. 8. Click Save Results and Scores to save changes. Results entered by Team Administrators will not display on the Sports Portal until after the Competition Administrator has set the results to Published. This means that there may be some delay between logging the results of a fixture and these being visible in the Results area.